I’ve been so keen to try this refashion – turning an oversized shirt into a more wearable top by taking out the collar and turning it around. I blame it all on Liz at Cotton & Curls. This top was nabbed (along with some vintage gold buttons and a zipper for an upcoming project) on a recent thrfiting/charity hopping trip with Nikki. Turns out it’s 100% silk. Pretty good bargain for £2.50. I wore this out today to meet a friend for coffee in town. I don’t know, maybe it’s just me, but I’m somehow completely in love with the buttons on the back. Strange? Start by unpicking the collar of the shirt. 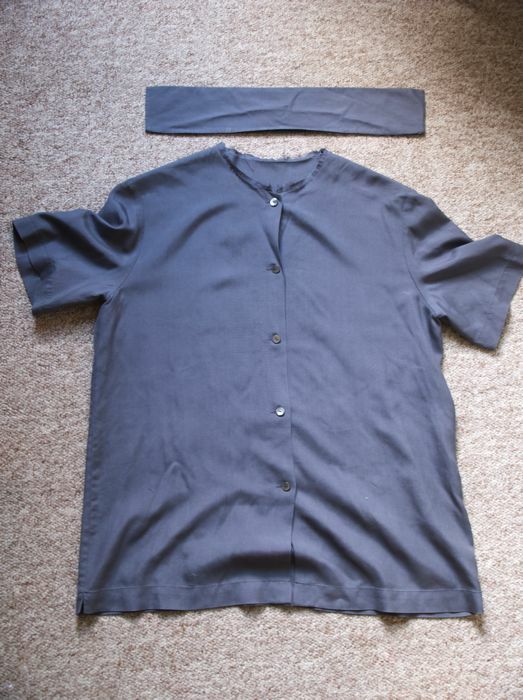 Turn the shirt inside out and place it front side down (so the buttons are facing away from you). Lay a top you like the fit of over the shirt. 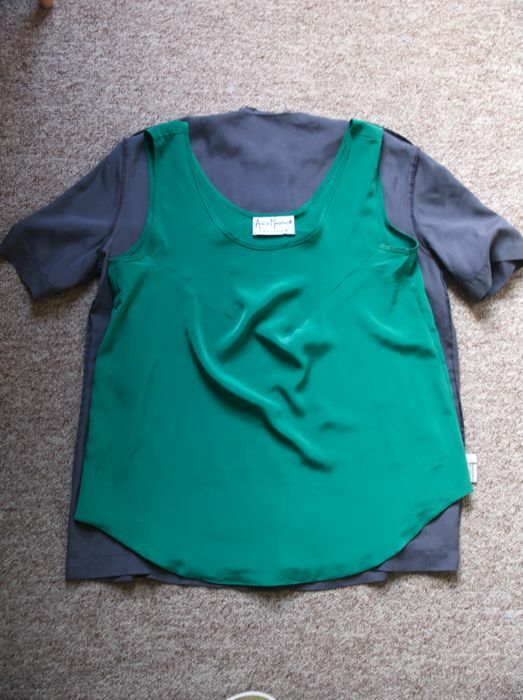 Use the neckline of the top you like as a template for the neckline of the top you’re refashioning. 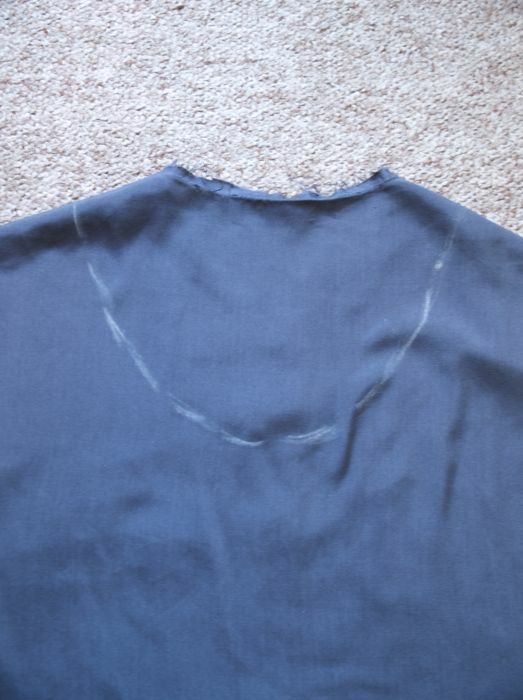 Trace the outline onto the top you’re refashioning using tailors chalk. Remember to leave some room for the hem – so maybe add 1/2 inch to this line now so you don’t forget. 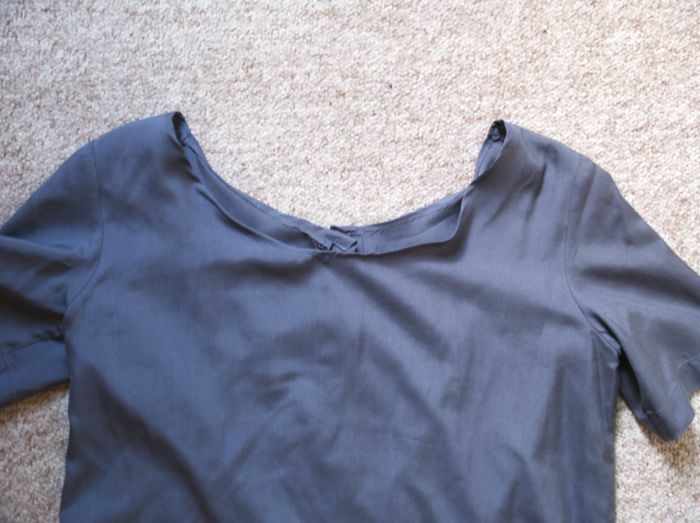 To get the neckline nice and symmetrical, fold the top in half so the two side seams are touching. Cut along the line (make sure to add an extra 1/2 inch or so for the hem – otherwise it might be more low cut than you planned!). 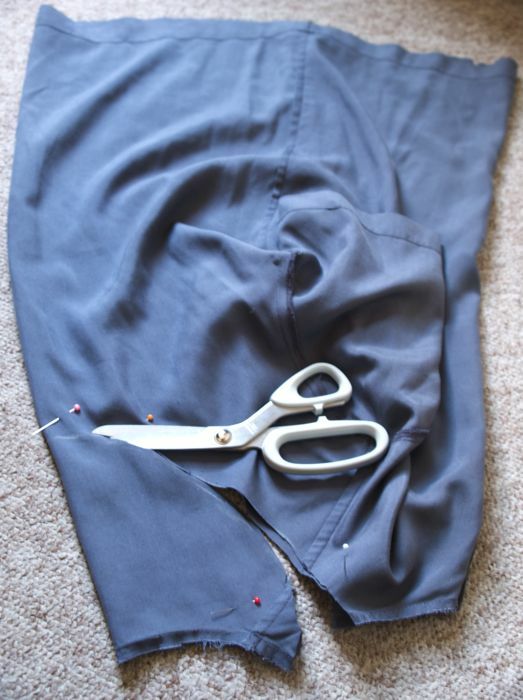 Turn under about 1/2 inch of fabric and hem close to the edge using a straight stitch. 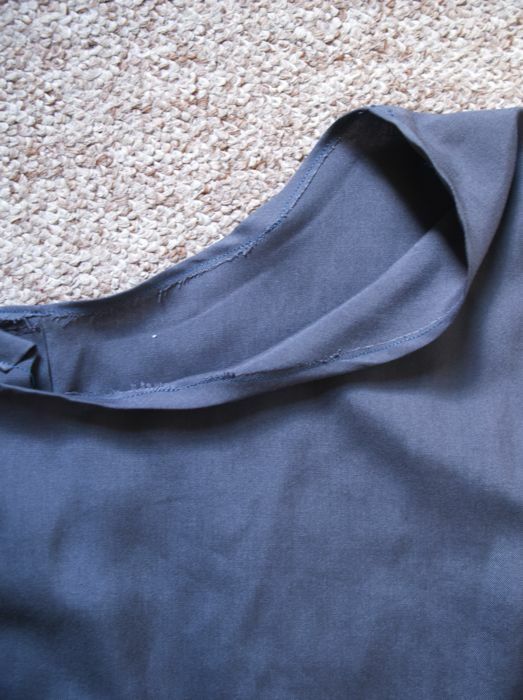 Use a seam ripper to take off the sleeves. 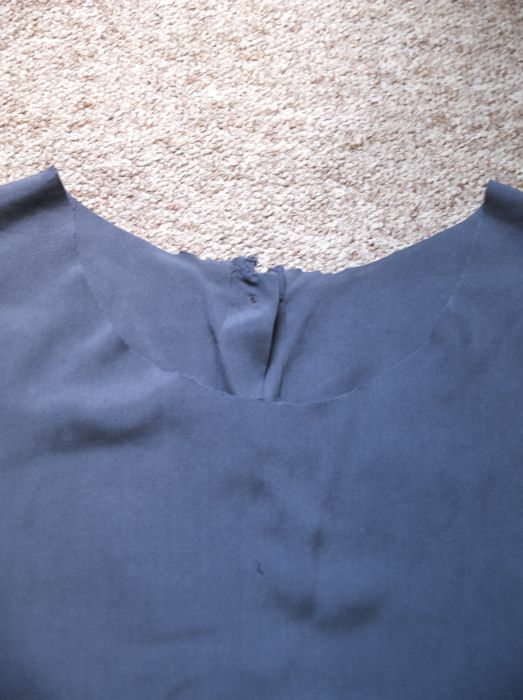 Fold under 1/2 inch and hem as in the neckline. Wear with a healthy dose of pride and a skip in your step. Really like this. Seriously jealous of both your 'treasure' finding skills and your sewing ability.